Sijara Eubanks’ latest weight miss may cost her a future title shot at flyweight. But she believes if she keeps winning matchmakers can’t deny her forever. Eubanks had her way with Roxanne Modafferi and earned a decision for her effort. And now the TUF finalist knows Joe Rogan knows her name. 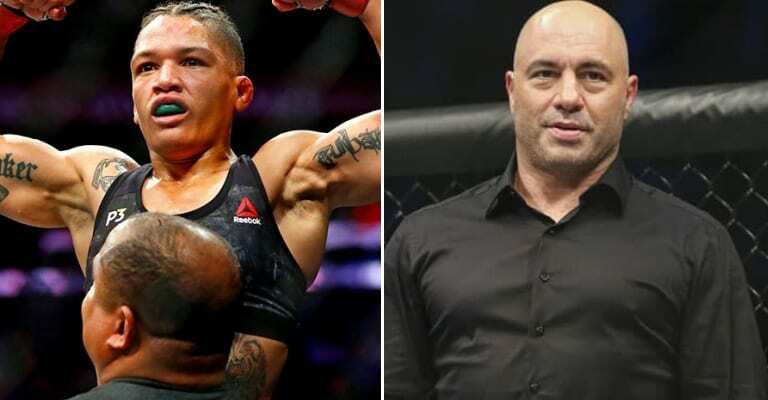 When the UFC first announced that Valentina Shevchenko and Eubanks would fight for the vacant women’s 125-pound title in the main event of UFC 230, many fans and Joe Rogan wondered just who Eubanks was. This, obviously, didn’t sit too well with the accomplished BJJ practitioner. So after Eubanks defeated Modafferi, and before the cameras were back from a commercial break, Eubanks and Rogan talked it out. “I did say a little something to Joe Rogan right before we got started (with the post-fight interview).” said after UFC 230 via MMAjunkie. 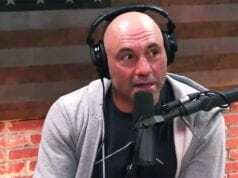 ‘Sarj’ said Rogan apologized for throwing her under the bus. She told him he didn’t have to do that and they became friends. Eubanks said their beef was squashed. 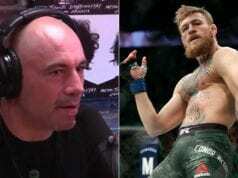 Rogan then supposedly offered his own apology. “He came up to me and said, ‘My bad,’” Eubanks recalled. “I was like, ‘Yeah, bro – man. You didn’t have to do that.’ He was like, ‘I didn’t mean no disrespect.’ It was all good, man. It was all love. Now that Rogan is well-acquainted with Eubanks perhaps he could give her some assistance in an effort to help her correct her weight cutting issues. She has now missed weight for two of her four UFC appearances. That’s flat-out, not acceptable at any level of professional sport. Eubanks, however, is using these as learning experiences. She said that her past miss was actually was a big reason why she didn’t press too hard ahead of UFC 230 and explained that timing – and nature – weren’t on her side this time around. Heading into UFC 230 Eubanks was hoping an impressive victory would land her a title shot with the soon to be crowned 125-pound champ, either the aforementioned Shevchenko or Joanna Jędrzejczyk. But Eubanks understands her most recent weight miss isn’t exactly the best look. As far as competing in the worlds most famous venue, “Sarj” was loving every minute of it, even the boo-birds. “Why not?” Eubanks asked. “I’m having a blast. I just fought at Madison Square Garden. I had a tough fight. It was a wonderful fight against a wonderful opponent. My family got to come out. I had a lot of family who’s never been able to watch me fight at all because of the travel. The ironic thing is that by Joe Rogan saying he doesn’t know who Eubanks is, she actually gained more fans because of that. “Thanks to Joe, a lot of people know who I am now,” Eubanks joked. “Thanks to me missing by a pound, a lot of people know who I am now. It is what it is.